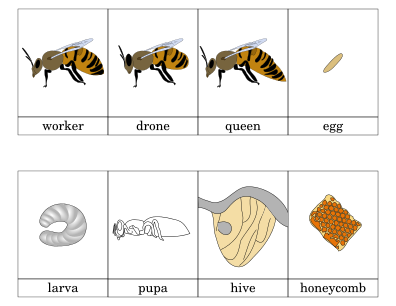 Honey bees are eusocial insects. They live in a social hive with a queen, drones and workers. Their life is an example of cooperation. This entry was posted in Uncategorized and tagged montessori honey bee free printout by irene. Bookmark the permalink.